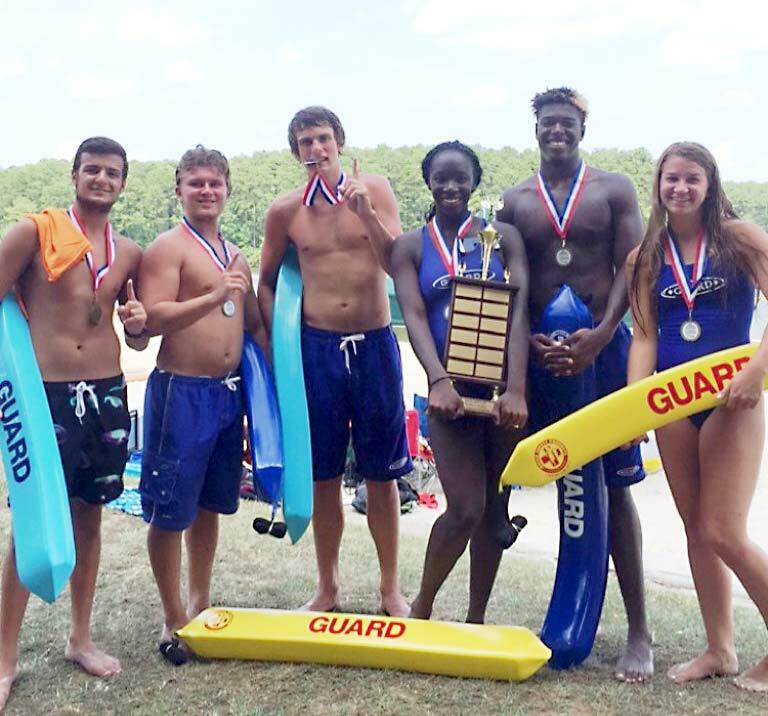 For the fourth year in a row, Gwinnett County Parks and Recreation (GCPR) took first place at the annual Georgia Recreation and Park Association State Lifeguarding Competition held on Lake Oconee in Greene County on July 20. 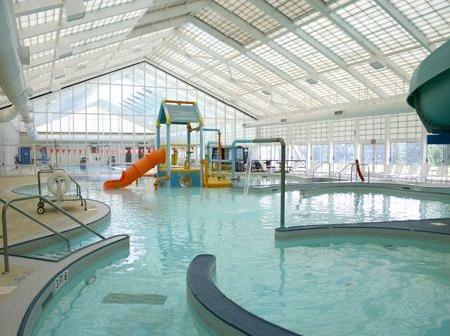 GCPR lifeguards come from several different park aquatics facilities throughout Gwinnett County. These lifeguards were selected for the Gwinnett County State Team based on their outstanding lifeguarding, CPR/AED, first aid, teamwork, and athletic skills. These guards practiced and honed their abilities throughout the summer with quizzing, skill practice sessions, conditioning and studying written materials. The team consisted of Jordan Rubin, a college student, works his summers as a lifeguard at Rhodes Jordan Pool in Lawrenceville. Nyota Edijidimo, a high school student, and Ronnie Taylor, a college student, both work at Mountain Park Aquatic Center in Lilburn. Daniel Lammons and Reagan Balog, both upcoming seniors in high school, work their summers at Collins Hill Aquatic Center alongside Philip Jenny, a recent high school graduate preparing for his first year of college this fall. The competition consisted of several events evaluating teamwork, athletic ability and lifeguarding knowledge. The Gwinnett County team proudly earned 27 points with high finishes in the majority of the events. 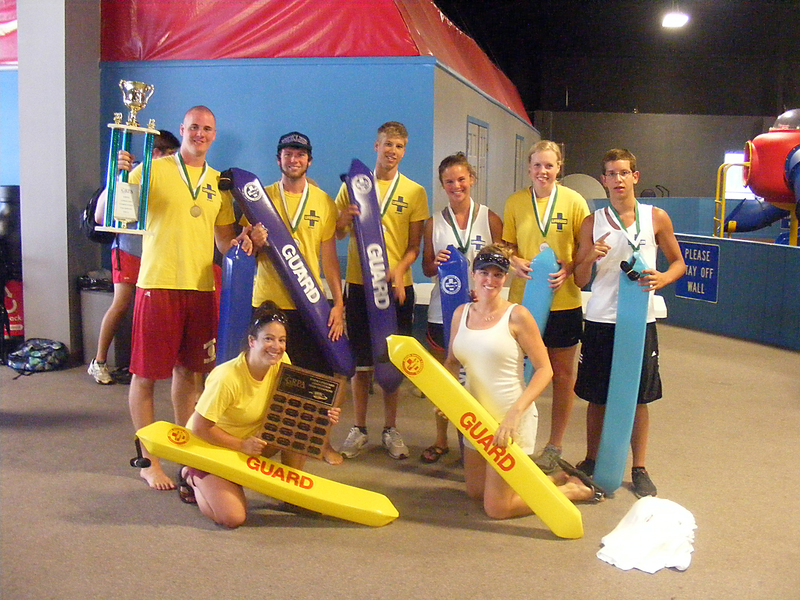 The team took first in both the triathlon and rescue events, second in the CPR and swim events and third in the rescue paddle board event. The team was supervised and coached by Aquatics Coordinators Christine Greenfield and Jason Cutchins. “Winning four years in a row has never been done in the history of the state competition. We are extremely proud of the lifeguard team for their victory at state. Our lifeguard team takes great pride in their training and skill execution and they were excited to use it in a competition setting,” said Christine Greenfield.